Sugar in baking can be confusing. With a handful of types to choose from, you may have trouble figuring out which sugar to use for your recipe. As a general rule, use granulated white sugar unless another kind is specified. Sugar does more than just sweeten cookies, and using powdered sugar when a recipe calls for granulated sugar will change the cookie. It's sometimes possible to substitute one for the other. Sugar serves an important role in baking cookies. Aside from contributing to the sweetness, it also changes the overall body of the cookie as it's baking. Sugar melts at 320 degrees Fahrenheit and crystallizes as it cools. The ratio of sugar in a recipe changes the overall outcome when it comes to texture and not just sweetness. 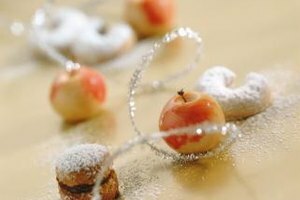 Some cookie recipes call specifically for powdered sugar or confectioners sugar, which are the same thing. This is essentially super fine white sugar blended with cornstarch to prevent caking. It's fine texture makes it dissolve quickly when mixed with liquids. Cornstarch is a starch and thickening agent that is activated when heated to 203 F, contributing to the texture of the final cookies. Recipes calling for powdered sugar are shaped according to these rules. The density of powdered sugar is different than granulated sugar -- 1 cup of plain granulated sugar weighs approximately 7 ounces or 200 grams. Powdered sugar, on the other hand, weighs only 4 ounces per cup or 120 grams. Cup for cup, If you try substituting powdered sugar in a recipe that calls for regular sugar or vice versa, the sugar ratio will be off. Make sure to get the right ratio of sugar in your recipe by weighing it out. Powdered sugar is more difficult to measure exactly in a cup measure because it captures so much air -- 1 cup of sifted powdered sugar will measure differently than 1 cup of packed powdered sugar. To be exact, use a scale. Substitute 7 ounces of powdered sugar for the 1 cup of white granulated sugar called for in a cookie recipe. If substituting granulated sugar for powdered sugar, mix 1 cup of sugar with 1 tablespoon of cornstarch in a blender and blend until powdery. Substitute 4 ounces of this for 1 cup of powdered sugar. What Kind of Flour Do You Use for a Pound Cake? 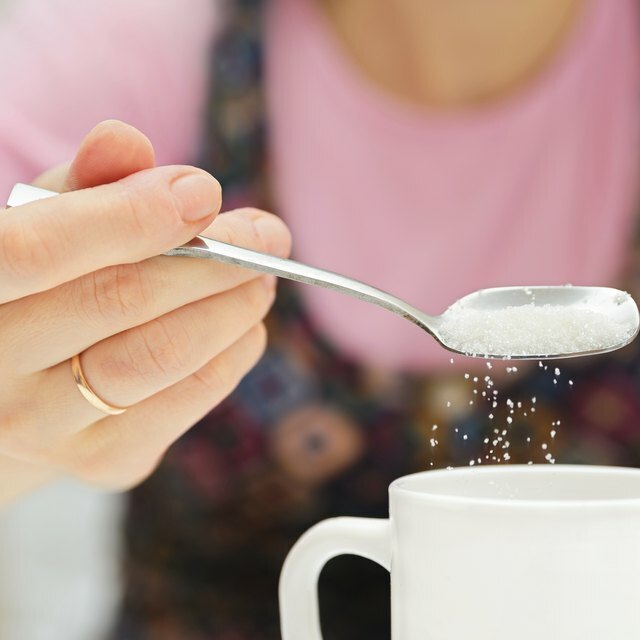 Which Artificial Sweeteners Can Be Used in Cooking?